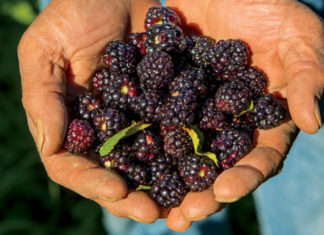 From training sessions to personal farm visits, the Montana Department of Agriculture (MDA) lends a friendly hand to the state’s produce growers who must comply with the most sweeping changes to food safety laws in 70 years. The Food Safety Modernization Act, nicknamed FSMA (“fizz-ma”), aims to strengthen the safety of food that Americans eat through the Food & Drug Administration’s renewed focus on prevention of foodborne illness. FSMA was signed into law in 2011. The law is big, somewhat complicated and is going to take a while to implement. In response, in 2016, the MDA established a grant-supported, full-time Food Safety Program to help affected Montana produce growers prepare for the first wave of changes. FSMA includes seven rules that collectively affect everyone who handles a sizable amount of food, whether growers, processors, handling facilities, truckers, feed manufacturers or food importers. The first component, the Produce Safety Rule, sets food safety standards for farms to minimize the risks of contamination that could occur while fruits and vegetables are grown, harvested, picked, packed and held. Sarchet says her program will continue to host Produce Safety Training sessions for growers in 2018. You can visit agr.mt.gov/topics/food-safety to see upcoming training dates and locations. The one-day course dives into FSMA and also awards participants with an FSMA-required certificate. The session covers everything from worker hygiene and livestock practices to soil amendment and water use in the context of preventing fruit and vegetable contamination and especially foodborne illness. Sarchet estimates between 50 and 60 produce growers in Montana are impacted by the Produce Safety Rule of FSMA. She tries to reach growers through training sessions, presence at trade shows and by keeping an open door. She will schedule confidential, on-farm visits to help growers see where they stand ahead of compliance deadlines.